We understand that admins wear multiple hats and that learning many independent software programs is inefficient for small schools with limited resources. We understand the importance of creating a welcoming and inviting first impression for prospective families. With K-12 Online’s robust system that includes application, registration, online tuition and fee payments, you can increase enrollment and streamline your operations. We understand that the reason you became a charter school is because you have something different to offer. We understand that resources are scarce. We understand the need to make it as easy for prospective families to enroll and financially support your school. K-12 Online is a turnkey solution featuring a single- or multi-step application process that eliminates the need for parents to fill out unnecessary information prior to being selected, creating a better experience for both admins and parents. We understand that some districts want control over registration and finances, while others prefer school autonomy. We understand that districts need a flexible solution that can meet their different needs. Our system gives districts the ability to keep their schools’ "cultures" independent and unique, while maintaining district oversight through standardized forms and payments to ensure consistent data gathering and reporting across schools. outdated systems and archaic processes? K-12 Online saves school admins and parents time by eliminating paperwork, redundant data entry and multiple software programs through its turnkey online forms, payments and tuition solution, creating a positive user experience for all. Eliminate multiple systems that don’t talk to each other and simplify the online payment process to eliminate redundant work for admins, increase funds for schools, ensure a clean financial audit trail and create a positive user experience for parents. Assess fees, fines and solicit donations and sell items with our online payment and Point of Sale solution. 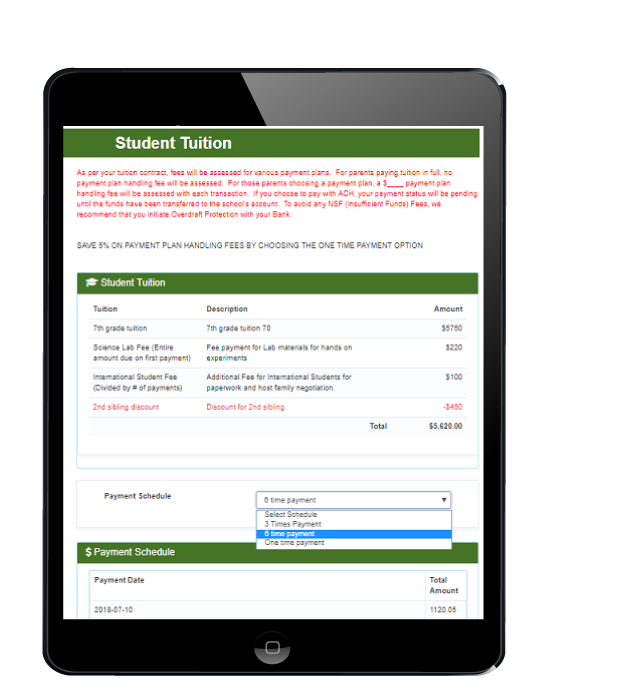 Simplify the tuition creation and administration process for admins. Give more control to admins to manage tuition accounts rather than a 3rd party vendor that doesn't understand the family's circumstances, which eliminates frustration and creates goodwill with parents. Receive tuition funds the next business day following parent payment. 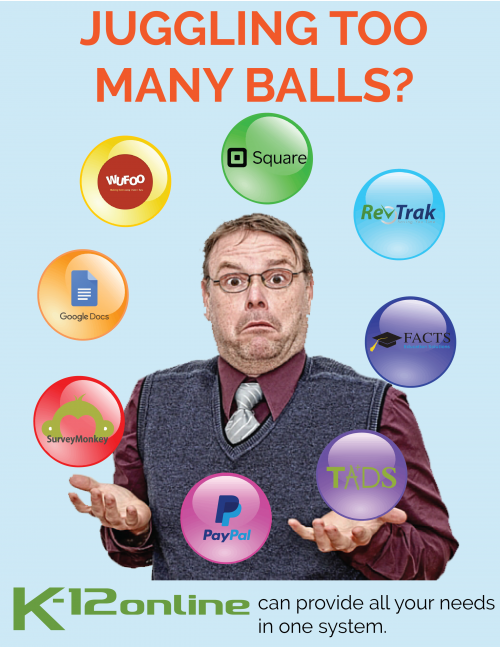 Give parents an easy and transparent way to pay tuition with automated reminders and followup. How much can your school save? 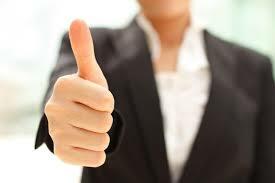 Schools AND Parents have saved thousands of dollars and hours simplifying their process. Call to see how your school and parents can save thousands of dollars! Most importantly, the registration process has been overwhelmingly popular with our parents, who no longer dread the registration packet of papers they used to spend hours filling out with the same information over and over again. It is times for schools to incorporate this new technology` to make `the start of school an enjoyable and efficient experience for all. K-12 Online™ is a school management software solution that streamlines new student enrollment and application, simplifies returning student online registration and updates annual student information systems for public schools, private schools, independent schools, charter schools and public school districts. 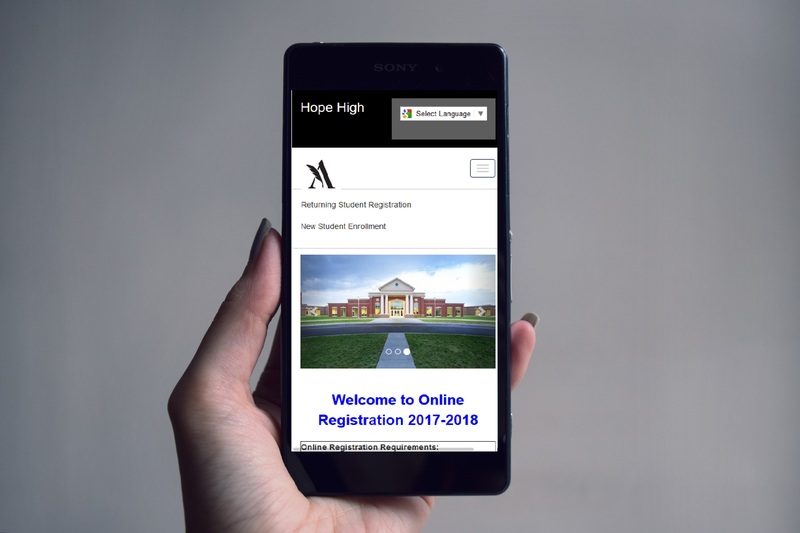 This simple, yet robust school online registration and school management system features custom forms, reports and a fully integrated online and P. O. S (in-person) payment system), a recommendation and tuition management system. 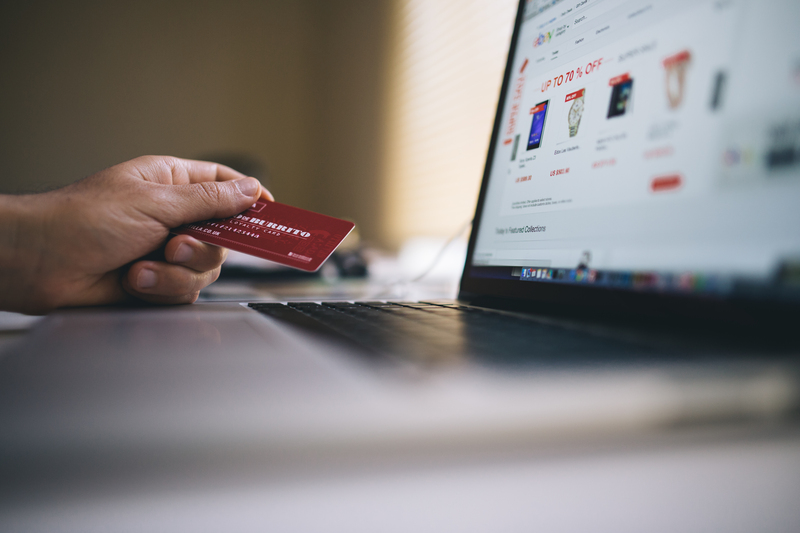 ​The integrated online payment system and fund account management system allow schools to assess tuition, fees, fines, solicit donations and sell items with various payment methods. The system tracks student purchases, payments and deposits by general ledger (GL) number making reconciliation and closeout a breeze. Custom programming can be done to upload deposits into your accounting software system. K-12 Online™ immediately increases organization efficiency, reduces workloads, eliminates paper, generates immediate revenue for your school and most important, provides a positive user experience for your admin and parents. K-12 Online™ focuses on developing its software not only for public schools, but with additional features that benefit smaller private schools. The recommendation module and tuition management modules have been created to alleviate admin from hours of management and babysitting as well as saving parents thousands of dollars in fees. Parents also appreciate the ease of use and transparency of the tuition system. K-12 Online has grown substantially to service schools all types of schools nationwide and in Canada. LEARN HOW K-12 ONLINE CAN HELP YOU! Schedule a FREE consultation with one of our client representatives to discuss your challenges and how K-12 Online can help you streamline your workflow, saving your school and your parents time and money....guaranteed!